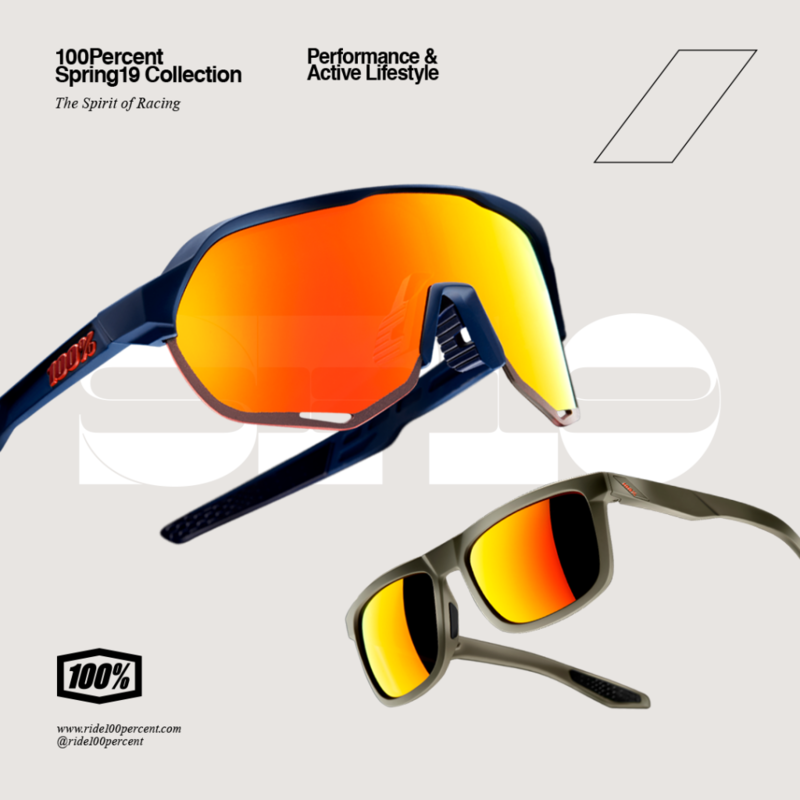 San Diego, CA (March 19, 2019) – 100% announced the introduction of its SP19 Eyewear Collection today. While debuting dynamic new colorways, additional lens options and a new active lifestyle model, 100% continues its streak of record-setting growth. Performance favorites, like the Speedcraft—the same model 3x Road World Champion Peter Sagan wore during his record-defying first season with 100%, gain new Soft Tact frame options and even more lens choices. The incredibly popular S2 answers its unparalleled demand; now available in 8 different colors. Sportcoupe adds a new Soft Tact Cool Grey lens option and the svelte Speedcoupe option gains fresh colorways. As a totally new active lifestyle model, 100% introduces the Hakan sunglass that offers the protection of a high wrap sports frame with equal parts day in and day out performance.